Hi, friends! Just a quick post to tell you that there is a SALE going on at the Great Impressions store! If you use code EarlySpring at check out, you will receive 15% off your order! As always, there is FREE SHIPPING on U.S. orders over $25! HURRY--this only lasts through Sunday! HUGS and happy stamping to you all! 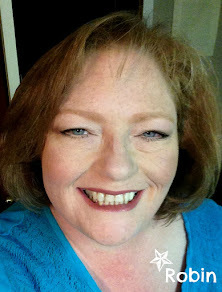 Today, I am bringing you a not so simple tag. It doesn't look like it but this took a while to create. 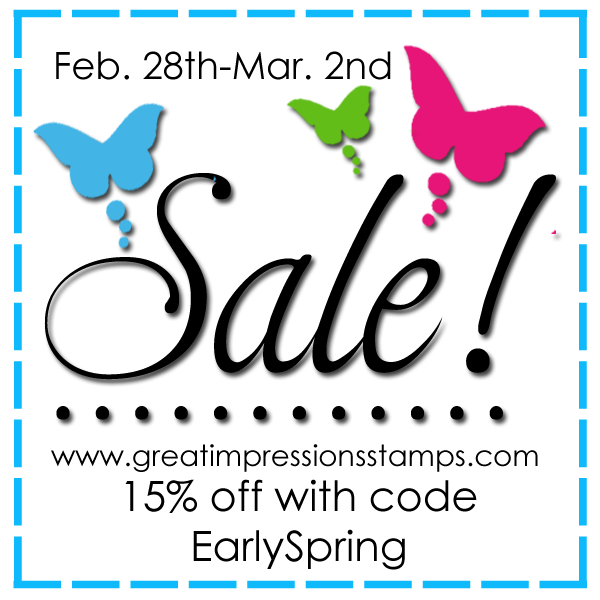 I started with a plain packing tag and then used glimmer mist and a stencil of butterflies to lay down my first layer. The second layer is pearl embossing paste with a brick wall stencil. I then used pink distress ink on that and distressed the edges of the tag as well. The next layer was a bit of raveled bleached burlap. Now comes the stamping. I used C415 Rose Time Piece and stamped it three times. I colored it and then cut it out and layered the different bits. The bottom layer was covered with Gold stickles and the top, the watch face has a layer of crystal lacquer to look like a watch crystal. Each layer was popped using dimensionals. Finally I threaded a bit of old chain through the the top of the watch so it would look like a watch chain. I added a flower sprig tied with some torn lace and a pretty bird to perch over the bleached burlap. I was thinking I might like a pin through the lace tie when I found a pretty pink leaf corsage pin. Next up was my last bit of stamping. The sentiment, D445 Patience, seemed perfect to go with the C415 Rose Time Piece. I stamped it on a bit of scrap cardstock and then distressed the edges and added some smeared pink stickles to the sides. The final layer for this tag was a crepe paper ruffle added across the bottom. Then I added some torn lace to the top and called it done. See you next Friday, in the meantime, go create something beautiful. Hello again! I'm back with another card using more beautiful stamps from the Great Impressions store! This time I thought I'd show you how to use those Valentine images for other purposes! I've got a wedding card for you today!!! More details on my personal blog HERE. Products used: H250 Flowered Heart, F43 Beautiful Forever. Thanks for stopping by today to take a peek at my creation! Don't forget to hurry and enter our monthly challenge! And don't forget to link up all your creations made with Great Impressions stamps in our Customer Gallery as well! HUGS and happy stamping to you all! I'm back with more fabulous stamps from Great Impressions! I love doggies and these two guys are no exceptions! I simply stamped these adorable guys: F569 Sparky with black ink unto kraft card stock. 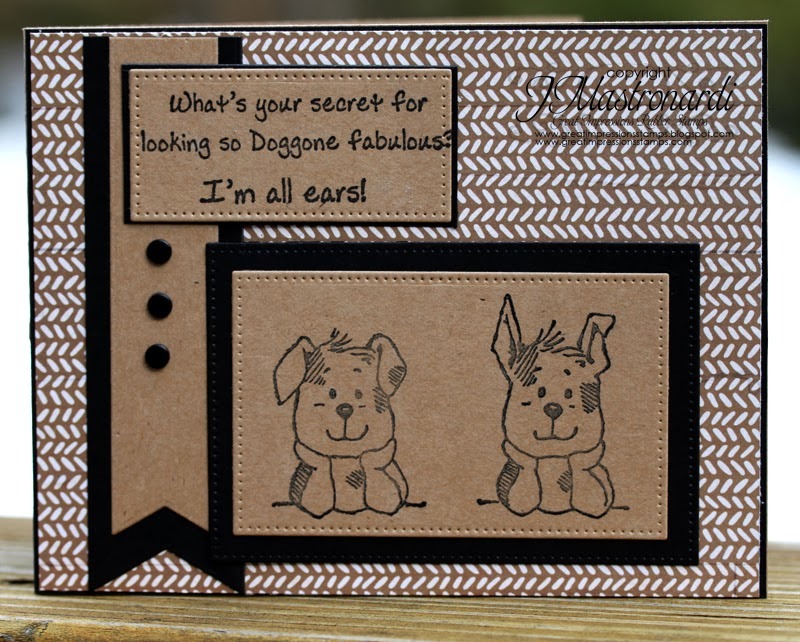 I layered them with black card stock and added the sentiment C459 All Ears! I added a chevron patterned paper to the background! Check out all the fabulous stamps from Great Impressions! I LOVE this stamp and yes, I know it's not really "new" but it's new too me! It is called Hot Air Balloon F549. ink to the edges, added a ribbon and attached my sentiment. or drool over. One can NEVER have too many stamps. 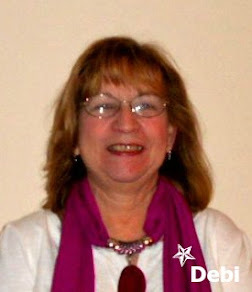 Please join us in our current challenge and stop back to the blog for more DT inspiration. Happy Monday Great Impressions Stamp Friends! 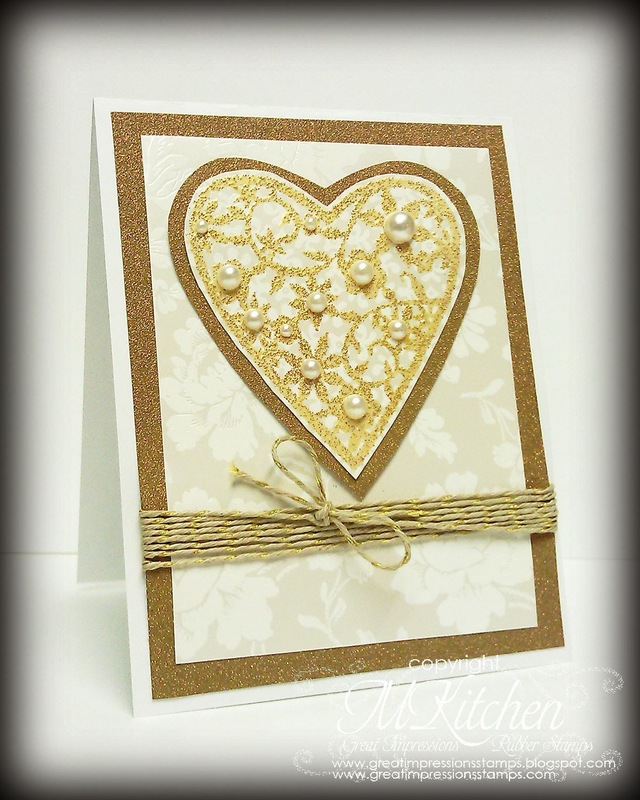 Kendra from Luv 2 Scrap 'n Make Cards here today to share an elegant wedding card! 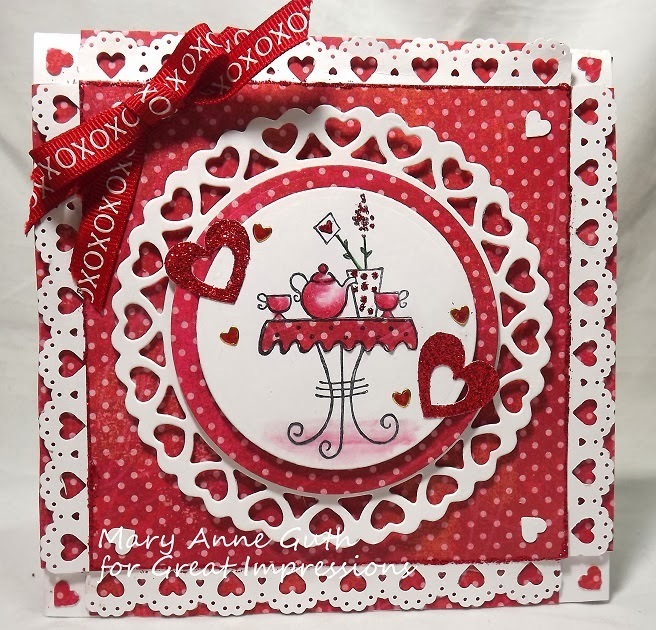 I used the new Flowered Heart (H250) to stamp on the background a few times. And embossed them with some pearl embossing powder. I then stamped one on white paper and embossed with silver embossing powder and fussy cut it out to pop up on the front of the card! I used the lovely Beautiful Forever (F43) sentiment as well. Such a great wedding sentiment. 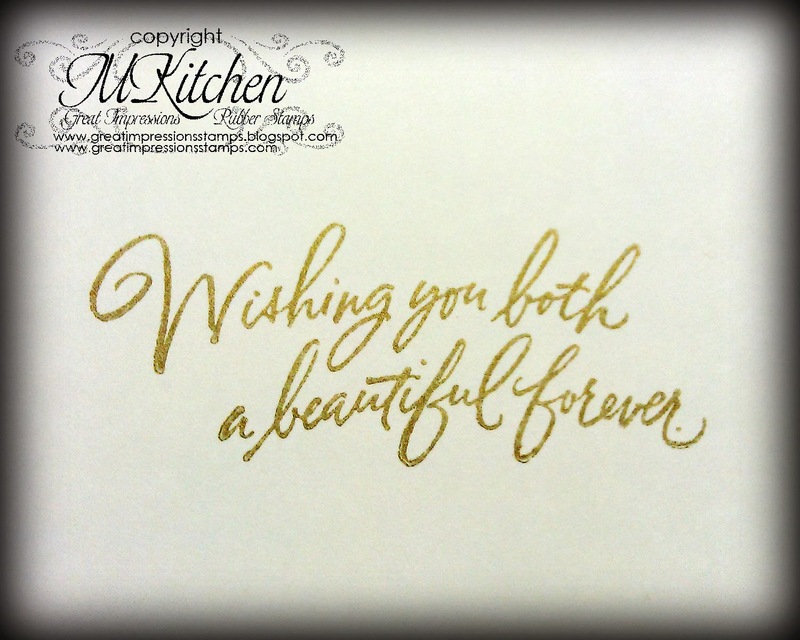 I masked the sentiment so that I could emboss just the "beautiful" with silver embossing powder. 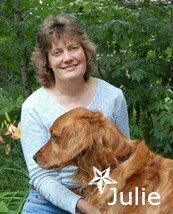 Thank you for stopping by to see my project today! Be sure to stop back for more wonderful inspiration! Join in our monthly challenge as well! We'd love to see what you create! Check out the Great Impressions shop for more wonderful stamps!! We've got a couple of cards to share with you today using the stamps from a past release. 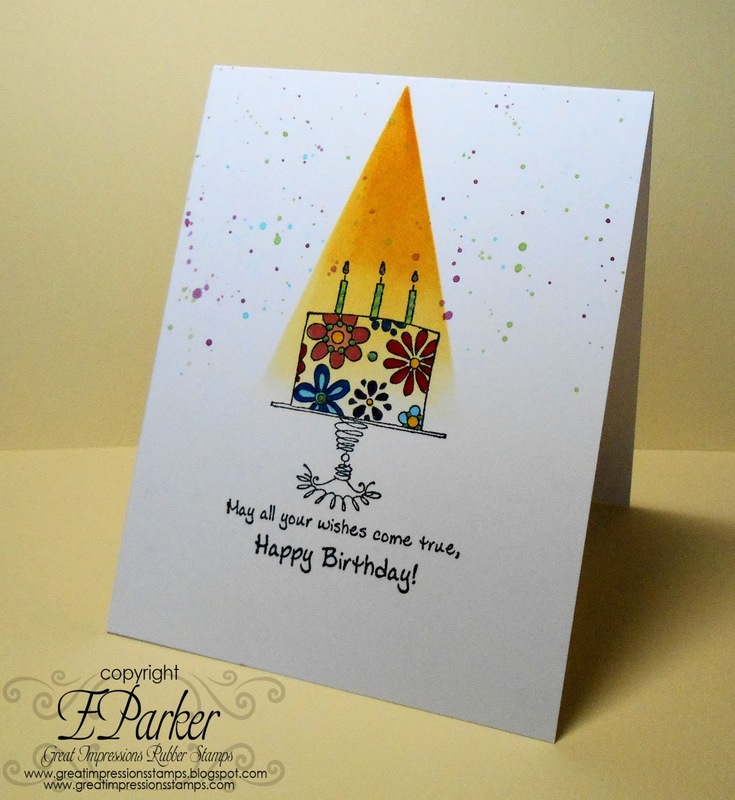 These cards are made by the fabulously talented Stamp of the Month designers up in the Great Northwest! You can find out more about our Stamp of the Month program HERE. These cards showcase some wonderful floral image stamps in honor of this month's challenge! Thanks for hopping over to check out these creations! I hope you join us again next Sunday for a brand new challenge and some new designs for you to grab from the STORE! 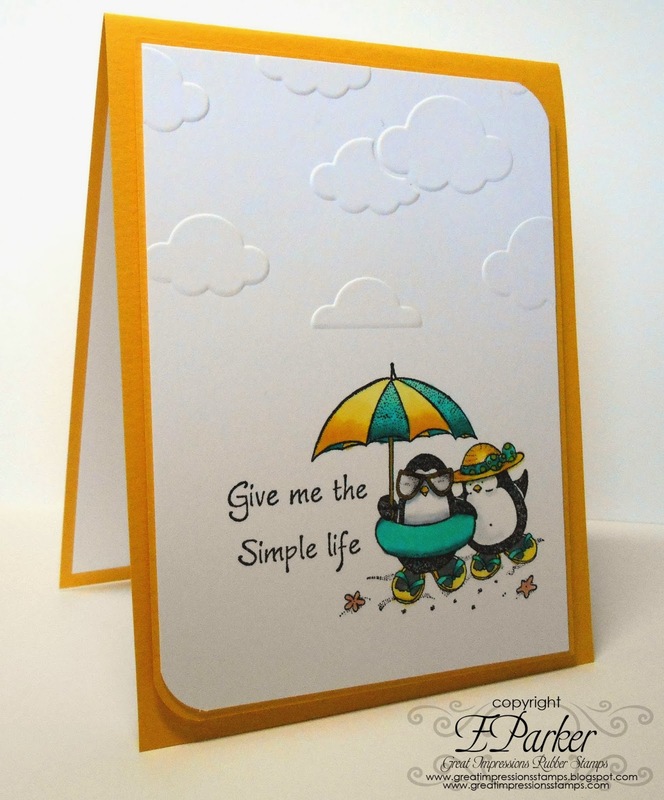 HUGS and happy stamping friends! Hello my dear friends! 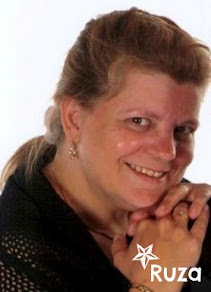 Welcome back to Great Impressions Inspiration Saturday with ME! How do you feel about One-Layer Cards? I used to hate them until I made them playing in challenges, so today, I hope to inspire you with a OLC. Thanks so much for stopping by for a bit of inspiration from Great Impressions. Don’t forget to check out the blog and the current monthly challenge! One last thing, be sure to “Like” Great Impressions on FACEBOOK! Hi, friends! It's time for another weekly post from me using more gorgeous stamps from the Great Impressions store! 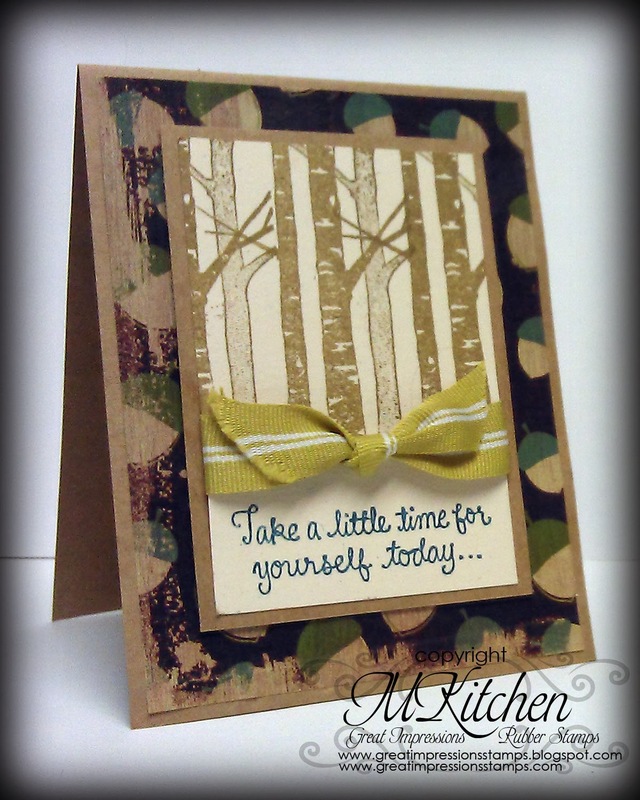 I've got a fun woodsy card for your viewing pleasure--I LOVE this image and I hope you can see how versatile it is--it's perfect for all year round! Products used: D466 Time for Yourself, G495 Bare Birch Tree. Can't you just see this image on a Christmas card? I've got one that I've made that you'll be able to see on my personal blog on Saturday, so hop over there then to see it! Thanks for stopping by today! I hope you join in our monthly challenge as well! HUGS and happy stamping to you all! 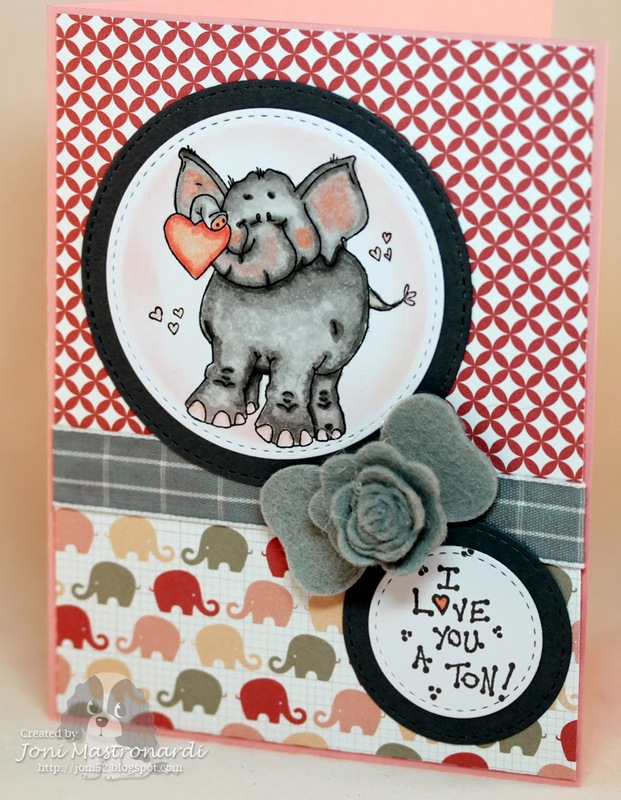 Today's card features F571 Heart Struck Elephant with the sentiment B238 A Ton. I colored the image with copics and air brushed the background. I layered the images using circle die cuts. I added a ribbon from my stash and made a felt flower in the shape of elephant ears for an accent. For more details check out my blog! Be sure to stop by the store at Great Impressions. Thinking ahead to Spring, rain and flowers are on my mind. I can't wait to get into the garden and I love thunderstorms. This stamp represents both! flowers and ribbons. Simple, bright and cheery. 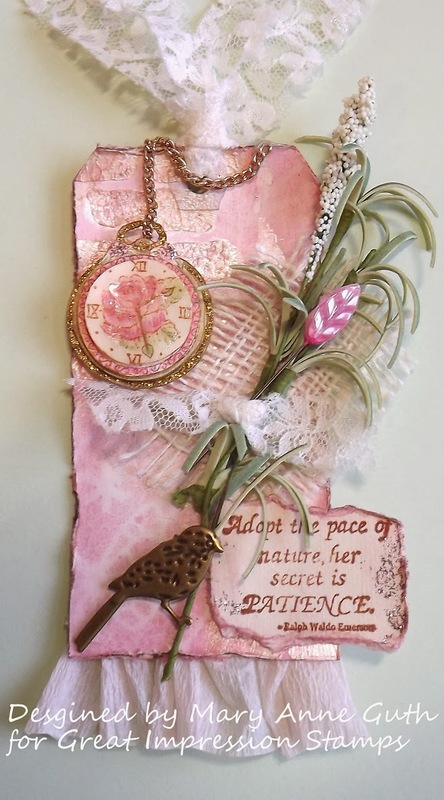 Kendra from Luv 2 Scrap 'n Make Cards here today to share some inspiration with you! Today is a special day for me! :) It's mine and my hubby's anniversary! We've been together for 13 years! Wow! And married 7 years now! Just seems like yesterday he won over my heart! Time sure flies! 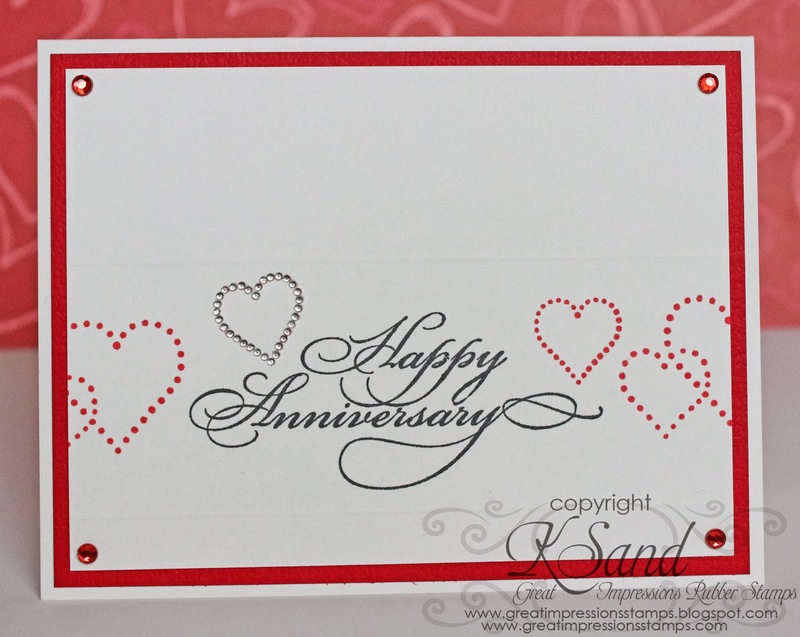 A simple, yet elegant Anniversary card! I love the new Dotted Heart Border (E826)! Why? 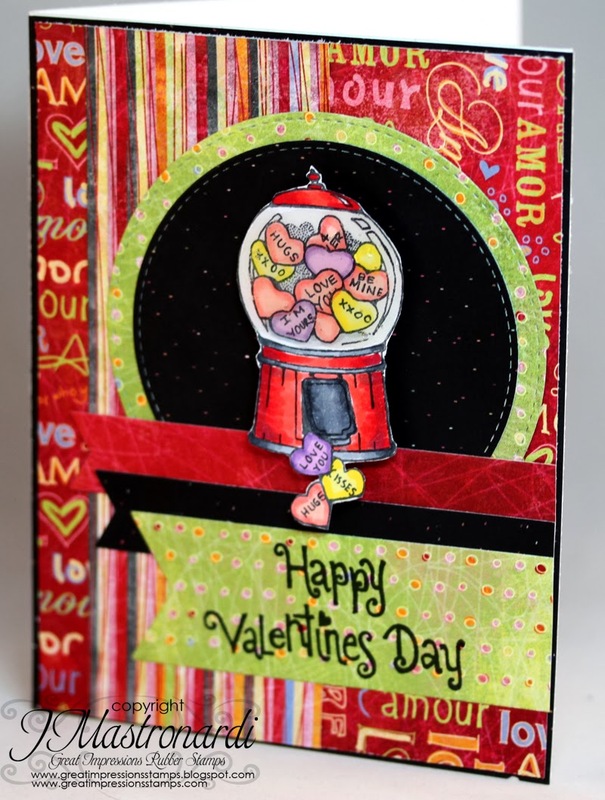 Well the second I saw this stamp I knew it was going to be so fun to use to be able to use the hearts as a template to create your own heart "blinged" embellishments! 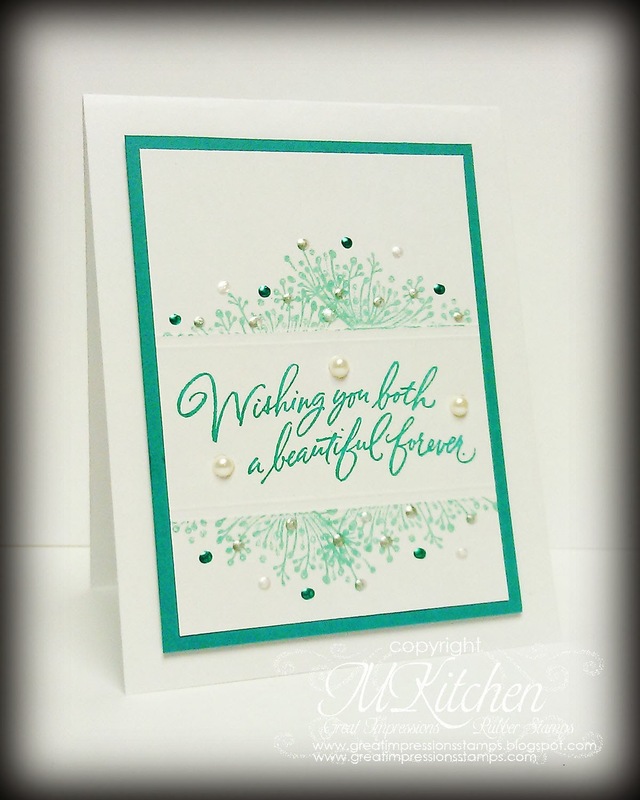 There is perfect spacing between each dot, for you to add bling to each of them! No more needing to buy special heart shaped bling! YAY! I stamped the smaller heart in this instance just above the left of the Happy Anniversary (E42) sentiment. I then used silver bling, which I added on each dot! You no longer can see the stamped heart! And instead just created your own heart shaped bling! Thanks for hopping over to check out these creations! 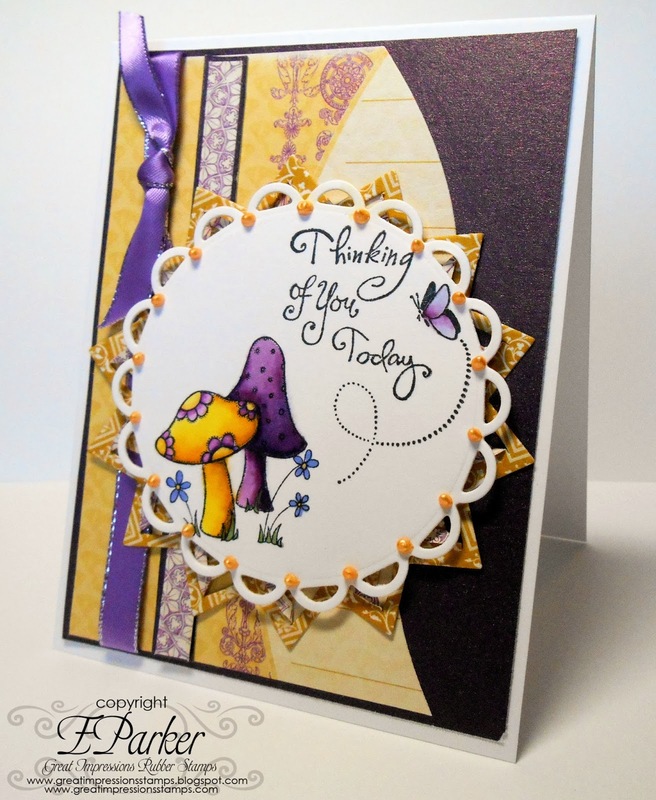 I hope you join us again next Sunday for more card ideas from the talented GI designers from up north! 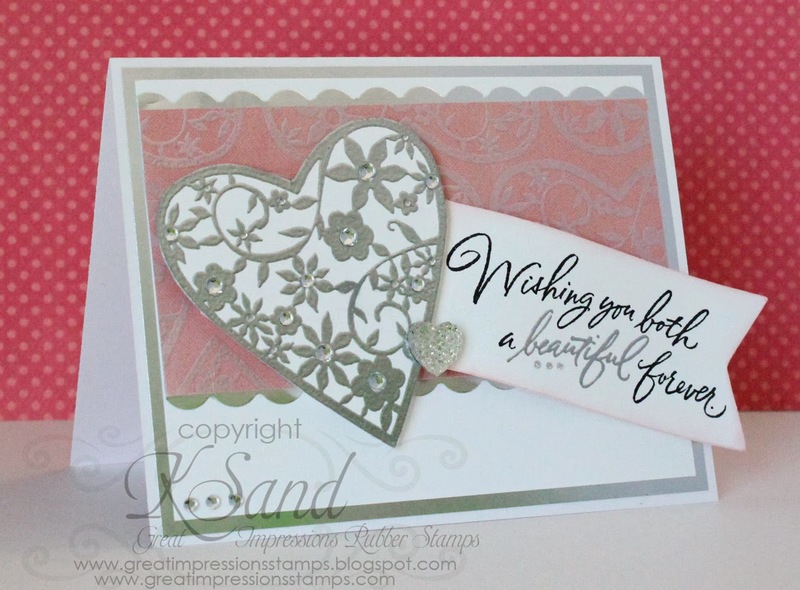 HUGS and happy stamping friends! Hello my Great Impressions friends and Happy Saturday! That means it is time for some inspiration and this time, I chose to go with a CAS card. Happy Valentines Day to each and everyone of you. Whether it's your spouse, children, pet, whatever, today is a day about love. So, of course, I bring you a Valentine card. This Valentine uses Great Impression F263 Tea for Two. This wonderful and fun little stamps features two of my favorite things, Valentine images and Tea, definitely a winner in my book. I did a little paper piecing for the tablecloth and kept the remainder of the card monochromatic red using the Gamsol magic technique and colored pencils. Since this is a Valentine, I had to add the obligatory, bows, hearts, lace, stickers, and glitter; after all, I wouldn't want to be thrown out of the Valentine Card maker's guild. Now that you've stopped by and seen my Valentine for you go out and spread a little lovin' of you own. Desired inks and paper for the card. Embellishments, etc., to finish your project. It is from the February release at Great Impressions. I couldn't resist getting this image and coloring it with copics. I added some bright red "love" paper from my stash. I added the D474 Happy Valentine's Day sentiment! Hope cupid finds you with his arrow! Check out all the fabulous items at Great Impressions. Today I am going to share with you the chalkboard technique. So lets get down to business.. This stamp, Watering Can Bouquet G302 is the perfect image for a little chalkboard technique. It's relatively simple and the effect is really pretty. Here is the basic recipe for you to try this technique. 4. Prismacolor pencils or even pastel crayons. Make sure to used pastels for greatest visibility. Stamp your image on the black paper making sure to give the ink enough time to dry. Next you will choose your colors. Here is where things get tricky. You will want an extra piece of black paper to test your colors on. I found that bright pastels work best. Always try your choices out on the extra paper before coloring your image. TIP: When coloring, don't "brush" extra color away with your hand or sleeve, try to blow them off or flip your paper a few times. This will prevent you from accidently rubbing color into the paper. Hope you liked my little visual tutorial. Please join our current challenge "Floral Images". FOR A CHANCE TO WIN A $20 GIFT CARD TO THE GREAT IMPRESSIONS STORE! I am so super excited to share my card with you today!! I used the adorable new Spikey the Porcupine (E825)!! Along with the Stuck on You (D475) sentiment! I just LOVE these new stamps!! We've got a couple of cards to share with you today using the stamps from our last release. These cards are made by the fabulously talented Stamp of the Month designers up in the Great Northwest! You can find out more about our Stamp of the Month club HERE. 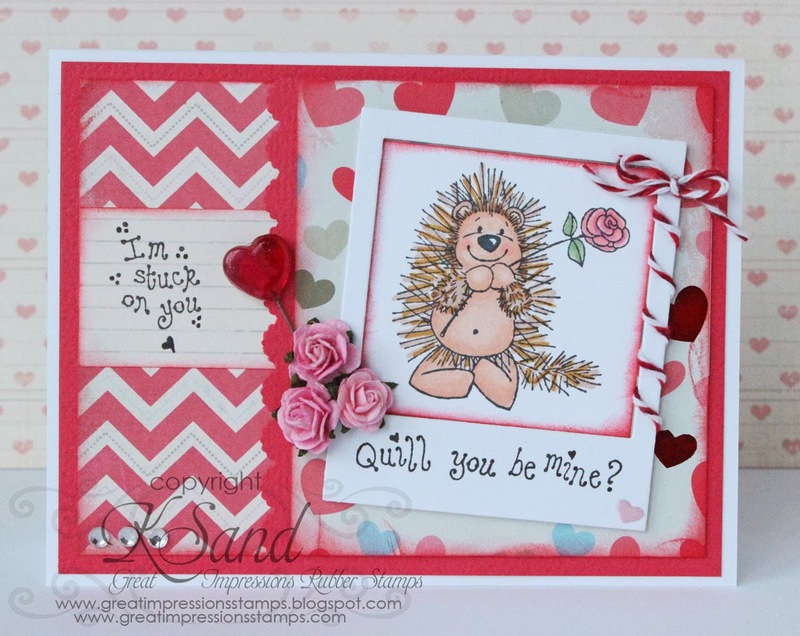 These cards showcase some gorgeous Valentine designs--perfect for this weekend! Go grab these images quick so you can make a few more cards to send out to loved ones! Hi! My name is Ellen and this is my first ever inspiration post for Great Impressions. I am so excited to be part of this awesome Design Team and look forward to sharing GI inspiration with you! Here is my first card! Hi, friends! Just a quick post to tell you that there is a SALE going on at the Great Impressions store! If you use code Valentine at check out, you will receive 15% off your order! HURRY--this only lasts until Sunday! HUGS and happy stamping to you all!